Sanitizers for destroying bacteria, germs and spores that cause diseases. 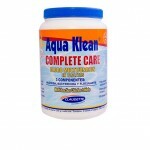 Very efficient disinfectant against bacteria, algae and other germs. 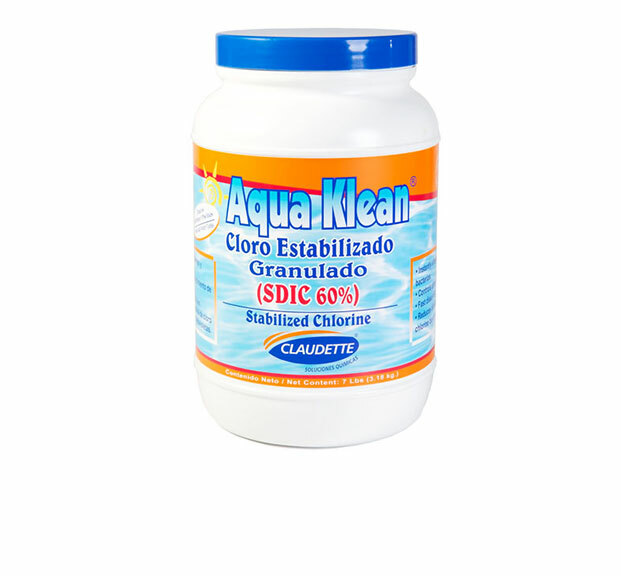 High quality and low insoluble residue that produces 65% available chlorine.Ideal for shock treatment. Recommended dose: 250 gr (8.8 oz) per 10,000 gallons of water. If contamination is very high, add 500 gr. Wide spectrum bactericide and sanitizer used in water treatment, public places disinfection, industrial bleaching and many others. 90% available chlorine. It has a stabilizer, which prevents the loss of available chlorine in water due to UV rays exposure. Leaves no residue. 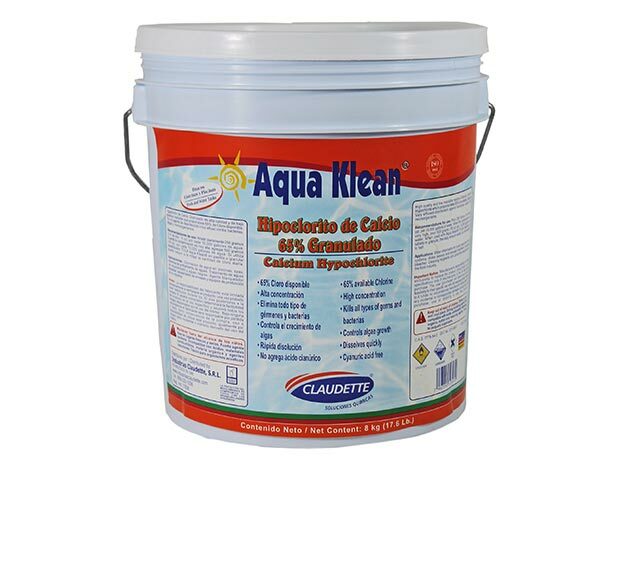 It has Isocyanuric acid, which reduces the excessive chlorine loss due to UV rays. The tablet is placed in a tablet dispenser or float to maintain the proper concentration of chlorine in the water. Recommended dose: 125 grams (4.5 oz) of granular or 1 tablet per 10,000 gallons of water will last around 2 weeks. Quick dissolving stabilized chlorine. 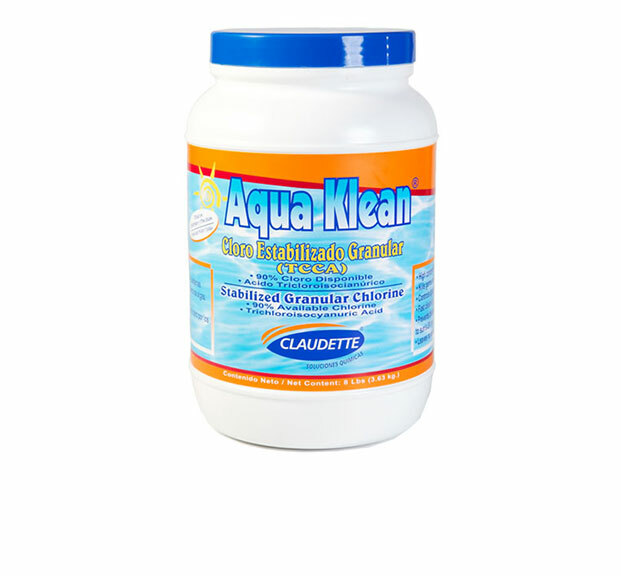 It has Isocyanuric acid which reduces the chlorine loss due to UV rays. Recommended dose: 140 grams (5 oz) SDIC granular or 6 tablets per 10,000 gallons of water. Recommended dose: 2 tablets per 1,000 gallons of water to a suitable dispenser. For keeping the level of bromine in 1-3 ppm for pools, 2-4 ppm for residential spas and 3-6 ppm for commercial spas. For pools and water tanks. 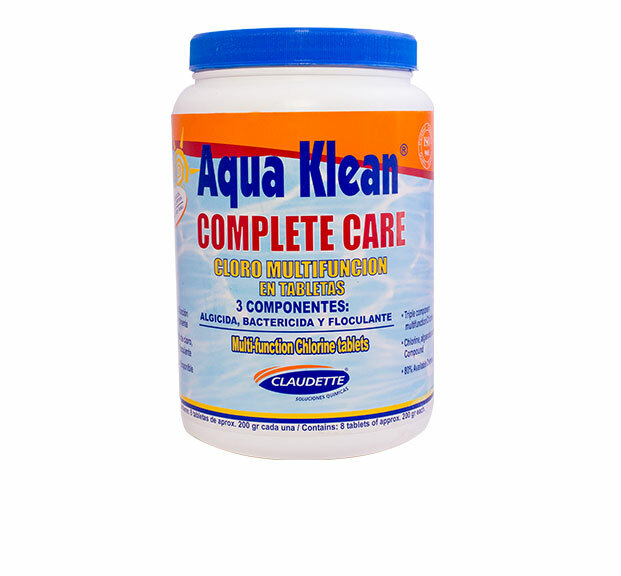 Very Efficent disinfectant against bacterias, algaes and other germs. Provides 80% available Chlorine. Slow dissolving. Uniform and continuous disinfection. Multi-functional tablets are slow dissolving and contain stabilized chlorine, algaecide and clarifier. Recommended initial dose: Add 1 Multi-functional tablet to 50 cubic meters (11,000 gallons) of pool water when used in the skimmer basket(s). This dose rate is given as a general guide for private swimming pools. Active Ingredients: Trichloroisocyanuric Acid, Aluminum Sulphate and Copper Sulphate. Contains: 10 tablets of approx. 200gr each.